Do you ever wonder what discipleship is or how to disciple another believer in Jesus? Kandi Gallaty of Replicate Ministries has made disciplemaking a practice in her own life and trains women to make disciples in obedience to Christ's Great Commission. Listen as host Chris Johnson talks with Gallaty, the author of Disciple Her, about this topic that is important in the life of every Christian. 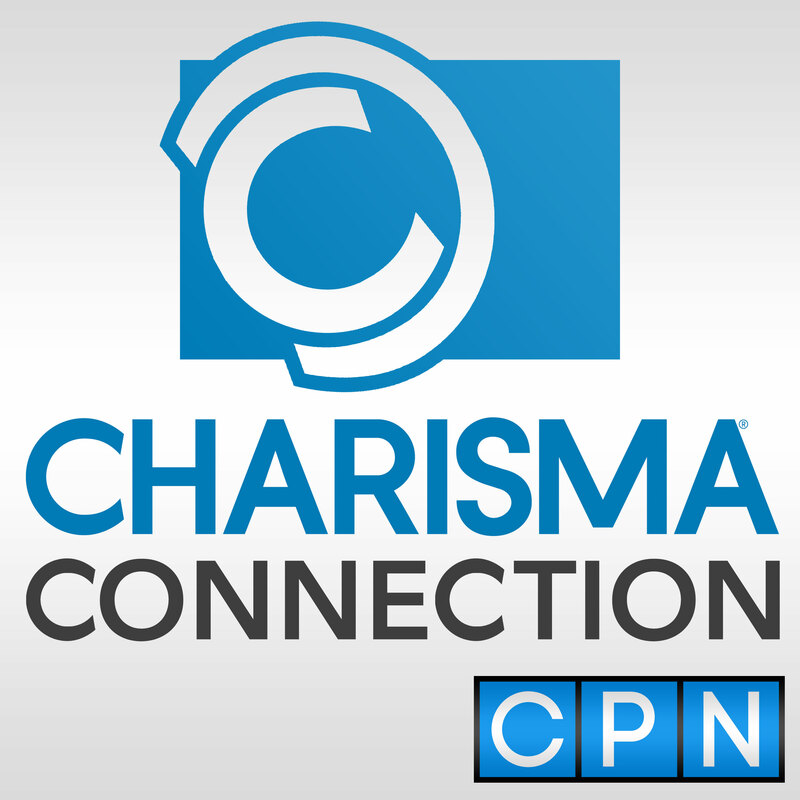 Chris Johnson: You're listening to Charisma Connection. I'm Chris Johnson. Kandi Galatty is my guest today and she's the author of Disciple Her, the B&H book title that we will be discussing today. If you've ever wondered what discipleship is all about, she will fill us in from the Word of God and share some of her own experiences. She and her husband, Robby Gallaty, who is a pastor and author himself and they have a church in Nashville. They've also formed Replicate Ministries, which ties in with Kandi’s emphasis on discipleship in this book. Kandi, could you tell us what Replicate Ministries is all about? Kandi Gallaty: Absolutely. Replicate Ministries is a disciple making ministry where we help lay people, ministers, anybody that's on a church staff. We really try to help churches know how to make disciples in their context because every context can be slightly different. So, we try to come alongside churches and really start that movement in their churches based on where they live, based on what their culture is like and just try to help in that movement of disciple making for the glory of the Lord in order for us all to participate in the Great Commission. We produce a lot of resources in order to do that. We do a lot of trainings, we do conferences, different things of that nature as much as we can to help everybody out there who are believers to really follow through with the Great Commission. Chris Johnson: The Great Commission is not just about evangelism, it's definitely about making disciples. The subtitle of your book Disciple Her is Using the Word, Work and Wonder of God to Invest in Women. So, you've got a lot of W's in there. Was that your idea for the subtitle? Kandi Gallaty: Yes, it was. Actually, the book was birthed from a lot of trainings that I have done over the years. Some ladies would come up to me afterward and they would say, do you have this in written form? And the answer was no. I didn't have anything in written form. I had like PowerPoint slides, of that nature, but nothing that I could hand them. So, then I got to thinking, I wonder if I should write some of this down and just kind of started praying about that. I went to my husband, and he said you absolutely should write some of this down. So, it really came from teachings I had been doing om some different breakout sessions and trainings for the last few years. That's how it started. My passion is women's discipleship. So, the way I make disciples is I'm drawing from the Word of the Lord that I know. I'm drawing from the work He has already done in my life. I'm drawing from the Holy Spirit which is what I call The Wonder. So, you're drawing from those sources in order to invest into someone else. So, that's kind of how that subtitle came about. I like alliteration anyway. So, I'm real big on that. So, it just kind of fit. · About Replicate Ministries: Replicate Ministries exists to equip local churches to make disciples who make disciple-makers. We do this through sound Biblical methods for training and replicating disciples. These methods have proven to be effective when implemented in the local church. In the last decade, these intentional disciple-making strategies have shown to develop mature followers in our context. It is the team’s desire to share our passion for replicating disciples with other church leaders. Chris Johnson: One of my questions was how does the Holy Spirit help in disciple making? It's interesting that you call him The Wonder. Kandi Gallaty: He is obviously our constant companion, the Holy Spirit. Every single day when I'm into the Word, I start off with prayer. I'm just praying that the Lord is going to open my eyes and He's going to speak to me. That happens through His Word through the empowerment of the Holy Spirit inside of me. So, when I pouring into other people, it's obviously an overflow from what is already happening in my own life in my own personal time with him. Then I'm praying and I'm asking the Spirit to just to use me and what I say be it in the midst of our conversations, like I'm just praying and depending on the Spirit in order to walk alongside ladies and even more so, my children; pouring into them and investing into them and just praying that the Spirit gives me that wisdom and guides me and gives me clarity in all those areas. Chris Johnson: For those who have not been a Christian a long time, or perhaps come from churches where they don't emphasize discipleship, that's kind of a weird word today. So. what does it actually mean to be a disciple? Kandi Gallaty: We have really thought and prayed about how we would define discipleship. In our ministry we've adopted a definition of discipleship, and I'll share that. Every word in this definition is very important. It's because so many people are using the term discipleship or disciple and they could be speaking a completely different language. It could mean something totally different to them. So, when we teach on this or share about this, we say that discipleship is intentionally equipping believers with the Word of God through accountable relationships, empowered by the Holy Spirit in order to replicate faithful followers of Christ. So, we're intentionally equipping with the Word of the Lord. That is the crux of everything that biblical discipleship is. We're doing this through accountable relationships in small community with one another, and then empowered by the Holy Spirit. The whole point is for them to replicate and turn that around. When you're at a church that may not have a strong discipleship in the sense of what I just described, then I encourage people to be a disciple themselves. The number one thing that a disciple needs to do is obviously following after Christ. The number one way we can do that is by regularly engaging the Bible; having daily time with Him. When we develop that spiritual discipline, and I believe that’s the number one spiritual discipline in our lives that we really should be focusing on. They're all important. But Bible engagement is number one. I believe every other discipline flows out of that. If someone is wanting to know where to start, you start by following hard after Christ and getting into his Word until his Word gets it to you. That's what you do. As you do that, more and more, it's going to become a lifestyle and that's when you can't help but make disciples. It's just going to come out. It's going to overflow from you. That's what we would hope would happen, that it becomes a lifestyle. Chris Johnson: Could you tell us about some of your experiences, whether being discipled yourself by someone else or discipling others in the faith? Kandi Gallaty: I've had so many different and unique experiences. When you're doing this every year, you learn a lot. So, I've learned to tweak some things and change some things. Maybe this was more effective than that. It’s kind of trial and error as you learn. So, when I wrote the book … and I've been doing this for over 10 years, it's different things that I've learned about what works and what doesn't work. Every person is unique, every leader is unique. So, how each leader puts their creativity into that group or into the investment of others is going to be unique to each person. I say in the book it doesn't have to be a cookie cutout, just what's in the book. You have to turn around and replicate that, exactly. It doesn't have to be that way. Those are just suggestions and advice on some things that I've learned that people can incorporate kind of where they are as long as the essential are there. So, I've had new believers in groups and they come in right after accepting Christ and read through the Bible for the first time within the first year of being a believer. With that, some people think like, should new believers wait, or what do we do if you encounter a brand-new believer. I'm like, no way, don't have them wait. You want them from the get-go developing the healthy spiritual disciplines and getting into the Word right from the beginning. One time I had this girl who had accepted Christ two weeks before she started in discipleship group, and the timing was just all the Lord's because I was just about to start and I just happened to meet her. We had this conversation, and so I asked her to be in the group. We went 18 months that year, and, so, at the end of the 18 months, she's like, I'm not sure if I'm ready. I said why don't you hop back in with me for another group until you feel like you are ready. It wasn't three months in and she said, OK, I'm totally ready. I can do this. And there she went. She hadn't even been a believer for two solid years yet and she turned around and replicated with ladies at her work. She had such a great foundation from the very beginning. She didn't have to wander around and wonder what to do next, which was great. That's just one example of somebody coming in, a brand-new believer, doesn't really know a whole lot, and within two years, she's ready to make disciples herself. Chris Johnson: That’s an incredible blessing to do that from the start in your Christian life. Kandi Gallaty: I think many of us probably haven’t had the luxury of being able to do that. I myself wasn't formally discipled. I had a youth pastor that invested in me after I became a believer, him and his wife. It wasn't necessarily a formal thing. It was more like when I go to church and what they were going to be teaching for the night, that sort of thing. But it wasn't like a systematic weekly type discipleship like we're trying to do now. And so, literally, everything that's in the book and everything that we teach on has just been learned from trying it or not trying it. So, it's all just experience. As you do it more and more, day in day out, some of these things will start to become second nature and you kind of get into a groove with it. In the beginning, I was much more rigid or maybe strict. or however it happened to be. But now I feel like I enjoy the process so much more than I did in the beginning.